Natural and legal rights are two types of rights. Legal rights are those bestowed onto a person by a given legal system (i.e., rights that can be modified, repealed, and restrained by human laws). Natural rights are those that are not dependent on the laws or customs of any particular culture or government, and therefore universal and inalienable (i.e., rights that cannot be repealed or restrained by human laws). The concept of natural law is closely related to the concept of natural rights. During the Age of Enlightenment, the concept of natural laws was used to challenge the divine right of kings, and became an alternative justification for the establishment of a social contract, positive law, and government – and thus legal rights – in the form of classical republicanism. Conversely, the concept of natural rights is used by others to challenge the legitimacy of all such establishments. The legal philosophy known as Declarationism seeks to incorporate the natural rights philosophy of the United States Declaration of Independence into the body of American case law on a level with the United States Constitution, since the unanimously agreed upon Doctrines of the Declaration of Independence is the foundational authority upon which the People and the Continental Congress of the 13 British Colonies of America based their power to legitimately separate from Britain and establish its own government (i.e. the Constitution of the United States). Declarationism philosophy, therefore, insists that if the United States rejects the natural rights philosophy of the Declaration of Independence upon which it was founded, it of necessity becomes, retro-actively, an illegitimate government in treasonous rebellion against its rightful government of Crown and Parliament in London; and therefore, the Declaration and Constitution must be held as legally inseparable throughout the entire United States of America (both Federal and State) and its territories. The existence of natural rights has been asserted by different individuals on different premises, such as a priori philosophical reasoning or religious principles. For example, Immanuel Kant claimed to derive natural rights through reason alone. The United States Declaration of Independence, meanwhile, is based upon the "self-evident" truth that "all men are ... endowed by their Creator with certain unalienable Rights". The signers of the Declaration of Independence deemed it a "self-evident truth" that all men are "endowed by their Creator with certain unalienable Rights". In The Social Contract, Jean-Jacques Rousseau claims that the existence of inalienable rights is unnecessary for the existence of a constitution or a set of laws and rights. This idea of a social contract – that rights and responsibilities are derived from a consensual contract between the government and the people – is the most widely recognized alternative. 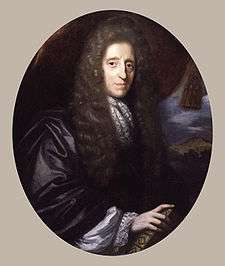 John Locke (1632–1704) was another prominent Western philosopher who conceptualized rights as natural and inalienable. 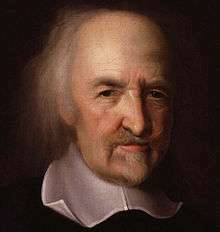 Like Hobbes, Locke believed in a natural right to life, liberty, and property. It was once conventional wisdom that Locke greatly influenced the American Revolutionary War with his writings of natural rights, but this claim has been the subject of protracted dispute in recent decades. For example, the historian Ray Forrest Harvey declared that Jefferson and Locke were at "two opposite poles" in their political philosophy, as evidenced by Jefferson’s use in the Declaration of Independence of the phrase "pursuit of happiness" instead of "property." More recently, the eminent legal historian John Phillip Reid has deplored contemporary scholars’ "misplaced emphasis on John Locke," arguing that American revolutionary leaders saw Locke as a commentator on established constitutional principles. Thomas Pangle has defended Locke's influence on the Founding, claiming that historians who argue to the contrary either misrepresent the classical republican alternative to which they say the revolutionary leaders adhered, do not understand Locke, or point to someone else who was decisively influenced by Locke. This position has also been sustained by Michael Zuckert. It is a perversion of terms to say that a charter gives rights. It operates by a contrary effect – that of taking rights away. Rights are inherently in all the inhabitants; but charters, by annulling those rights, in the majority, leave the right, by exclusion, in the hands of a few. ... They...consequently are instruments of injustice. ↑ See James Nickel, Human Rights, 2010. The claim that "..all human rights are negative rights.." is rejected, therefore human rights also comprise positive rights. ↑ "Animal Rights", Encyclopædia Britannica, 2007; Dershowitz, Alan. Rights from Wrongs: A Secular Theory of the Origins of Rights, 2004, pp. 198–99; "Animal Rights: The Modern Animal Rights Movement", Encyclopaedia Britannica, 2007. ↑ Seneca, De beneficiis, III, 20. ↑ Carlyle, A.J. (1903). A History of Medieval Political Theory in the West. 1. Edinburgh. pp. 8, 9. ↑ McIlwain, Charles H. (1932). The Growth of Political Thought in the West: From the Greeks to the End of the Middle Ages. New York. pp. 114–15. ↑ Cicero, De Legibus (Keyes translation), book 1, section 28. ↑ Martin Luther, Concerning Secular Authority, 1523. ↑ Francis Hutcheson, An Inquiry into the Original of Our Ideas of Beauty and Virtue in Two Treatises (Indianapolis, 2004), pp. 192, 193. ↑ Hutcheson, Francis. A System of Moral Philosophy. London, 1755, pp. 261–2. ↑ Georg W. F. Hegel, Hegel's Philosophy of Right, T.M. Knox, trans., New York: Oxford University Press, 1967 (1821), section 66. ↑ Philmore, J. 1982. The Libertarian Case for Slavery: A Note on Nozick. Philosophical Forum. XIV (Fall 1982): 43–58. 1 2 3 Price, Richard. Observations on the Nature of Civil Liberty. 1776, Part I. Reprinted in: Peach, Bernard, (Ed.) Richard Price and the Ethical Foundations of the American Revolution. Duke University Press, 1979. ↑ Price, Richard. Additional Observations on the Nature and Value of Civil Liberty. Reprinted in: Peach, Bernard, (Ed.) Richard Price and the Ethical Foundations of the American Revolution. Duke University Press, 1979, p. 136. ↑ Lynd, Staughton. Intellectual Origins of American Radicalism. Vintage Books, 1969, pp. 56–57. ↑ Wilson, James. Robert Green McCloskey, ed. The Works of James Wilson. 2. Cambridge, Mass. : Harvard University Press. pp. 586–89. 1 2 Finnis, John (2011). Natural Law & Natural Rights. Oxford: Oxford University Press. pp. 23–58. ↑ Introduction of the Bill of Rights in Congress, 1789 Jun 8, Jul 21, Aug 13, 18–19; Annals 1:424-50, 661–65, 707–17, 757–59, 766. ↑ Harvey, Ray Forrest (1937). Jean Jacques Burlamaqui: A Liberal Tradition in American Constitutionalism. Chapel Hill, N.C. p. 120. ↑ Law As Culture and Culture As Law: Essays in Honor of John Phillip Reid - Google 도서. Books.google.co.kr. Retrieved on 2013-07-29. ↑ Reid, John Phillip (1987). Constitutional History of the American Revolution: The Authority To Tax. Madison, Wis. pp. 135–36. ↑ Reid, John Phillip (1986). Constitutional History of the American Revolution: The Authority of Rights. Madison, Wis. pp. 132–33. ↑ Pangle, Thomas L. (1988). 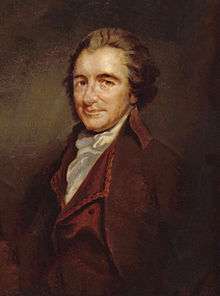 The Spirit of Modern Republicanism: The Moral Vision of the American Founders and the Philosophy of John Locke. Chicago: University of Chicago Press. ↑ Zuckert, Michael P. (1996). The Natural Rights Republic: Studies in the Foundation of the American Political Tradition. South Bend, Ind. : University of Notre Dame Press. ↑ Zuckert, Michael P. (1998). Natural Rights and the New Republicanism. Princeton: Princeton University Press. ↑ Zuckert, Michael P. (2002). Launching Liberalism: On Lockean Political Philosophy. Lawrence: University Press of Kansas. 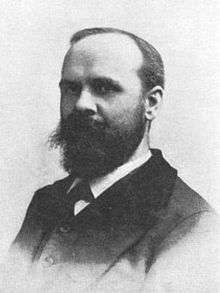 ↑ Kunze, Fred. "A Biography of John Locke". American History from revolution to reconstruction and beyond. GMW - University of Groningen. Retrieved 20 July 2015. 1 2 3 Wendy Mcelroy. "Benjamin Tucker, Individualism, & Liberty: Not the Daughter but the Mother of Order"
↑ Erich Fromm (1973), The Revolution of Hope: Toward a Humanized Technology, New York: Bantam. ↑ Individual Rights – Ayn Rand Lexicon. Aynrandlexicon.com. Retrieved on 2013-07-29. ↑ The Ethics of Liberty, by Murray N. Rothbard. Mises.org. Retrieved on 2013-07-29. ↑ "Man and Society". The Market for Liberty. p. 11. ↑ Block, Walter (Spring 2003). "A Libertarian Theory of Inalienability" (PDF). 17 (2). Journal of Libertarian Studies: 39–85. ↑ Kinsella, Stephan. "Inalienability and Punishment" (PDF). ↑ "Samuel P. Huntington Quotes". Brainy Quote. Retrieved 7 July 2013.